One of the best-known voices on BBC radio in the 1960s and ’70s was that of Jack de Manio (1914–88). 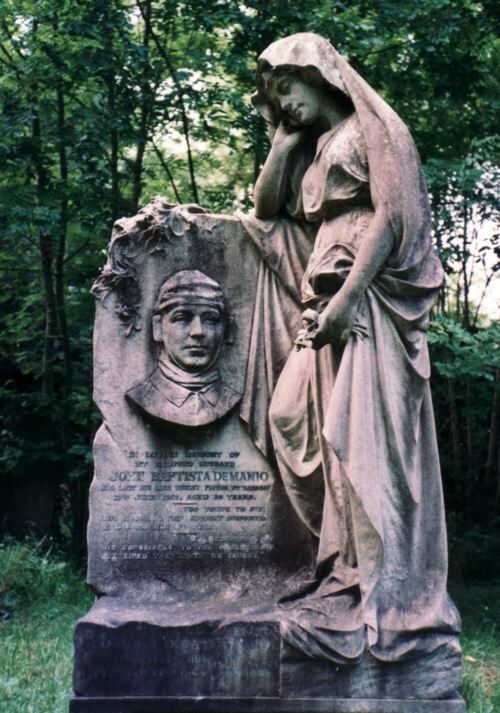 He was actually christened Jean Baptiste de Manio, after his father, who died before his son was born and is buried in St Pancras Cemetery. 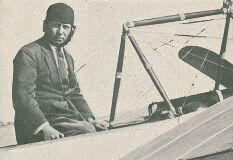 The father, who seems to have been variously known as Giovan Battista, Jean Baptiste or John Baptista Manio, de Manio or Demanio – even Count Jean Baptiste de Manio when the New York Post announced hs son’s engagement in 1935 – was an Italian-born aviator who was living in St John’s Wood when in 1912 he became the first person to fly across the English Channel in winter. He had taken off from Compiègne in northern France in his Blériot monoplane with a 50 h.p. Gnome engine on 16 September, accompanied by his wire-haired terrier, Jim, intending to fly to Hendon, but had to land near Boulogne when his engine broke down. After waiting some weeks for an opportunity to proceed, on 1 December, in spite of stormy weather, he and Jim set off again, from the beach at Boulogne, and gradually rose to a height of 3,000 feet. As they approached the English coast from mid-Channel they ran into a thick mist, and for over a quarter of an hour de Manio had to navigate by compass alone. With a strong wind behind him he decided it would be safest to head north, and when the mist eventually cleared and he sighted the coast of Kent he flew until he was able to spot the North Foreland, then circled round and landed safely at Kingsgate, near Margate. He told The Times that he reckoned the wind had made him fly three times the shortest distance from Boulogne to the English coast. The cold was so intense that his legs and hands were numb by the time he landed, 1 hour and 40 minutes after taking off. On 2 December he took off from Kingsgate for the aerodrome at Hendon, but landed at Sittingbourne in Kent. On the 5th he set off again, and shortly after midday he was seen passing over the City of London – contrary to Royal Aero Club regulations – having lost his bearings in the mist that hung over parts of the capital. When he realised where he was, he turned and flew over the docks and the Thames to Barking, where he landed. At 2.40 he took off again, but had to land at Hertford when he became short of oil. The following afternoon he took off yet again, intending to fly south-west to Hendon, but the wind made him drift to the east, and he eventually found himself over Palmers Green in north London, where he once more developed engine trouble and in attempting to land in Broomfield Park he glided down on to the roof of 75 Derwent Road, causing its occupant, a Mr Andow, a postal official, who was in bed at the time, to think there had been a gas explosion. Some schoolboys, who were having tea opposite and had run out to see what was happening when they heard the crash, thought of a ladder at their school and ran off to fetch it, while de Manio calmly remained in the plane smoking a cigarette. Jack de Manio’s autobiography claims that Jim was in the plane too, but contemporary press reports don’t seem to mention this. 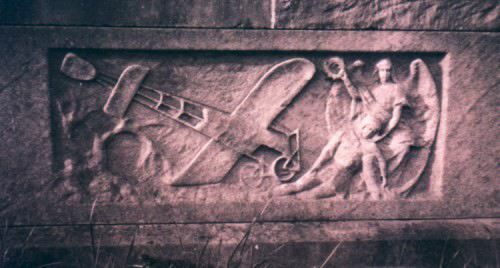 Having got off the roof by means of the ladder, de Manio later went back up with firemen to fasten the plane securely to the roof for the night, while Mr Andow had to bed down elsewhere as petrol from the plane’s engine had leaked into his boxroom. 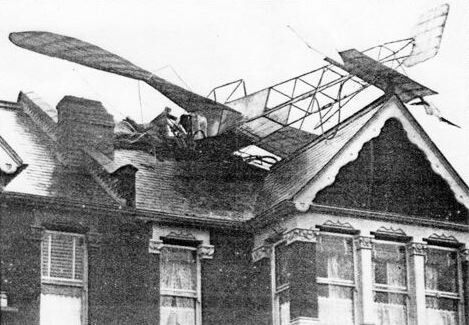 The plane had eventually to be taken to pieces to remove it from the roof, and later that month the Royal Aero Club banned de Manio from flying in the UK until the end of the following March. 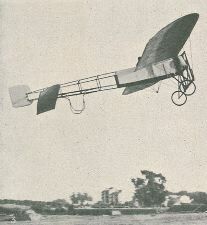 On 13 June 1913, however, de Manio was in Lisbon, to take part in an aviation display, again in his Gnome-engined Blériot. He had taken off, risen to about 450 feet and had begun to gain further height when tragedy struck. 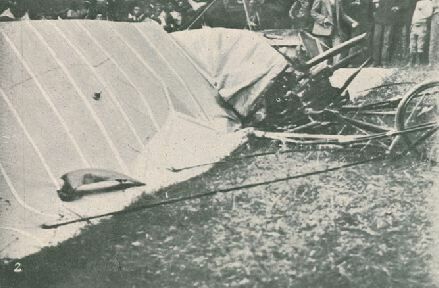 The plane seems to have been struck by a sudden gust of wind ‘as if impelled by a spring’, and de Manio was ‘spat from’ the cockpit; he was struck by the propellor before falling to earth with a leg severed. 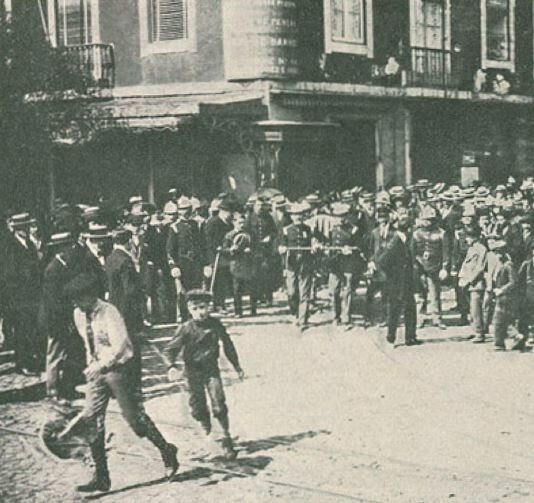 Members of the local Italian community accompanied his coffin to the Egreja do Loreto church in Lisbon, before his body was brought back to England, and he was buried in St Pancras Cemetery on 9 July. He was 39. Fascinating stuff. What an indomitable fellow he was, though I pity his family. The area of the cemetery where he’s buried is very overgrown now but the carved face still looks directly at you: a compelling portrait. Yes, I was in that area quite recently and the relief at the bottom of the de Manio monument wasn’t visible. I fear it’s even more decayed now.